Afton, VA: Zenith Firearms opened its doors late Monday night to welcome its first large shipment of MKE guns in more than a year. The quantity received equips Zenith to satisfy nearly half of its current back orders. A similar shipment next quarter will satisfy remaining back orders for model Z-5RS and enable limited new sales activity. Effective March 18, Zenith will begin accepting distributor, dealer, and consumer-direct preorders for all configurations of its Z-5RS. A recently negotiated contract between Zenith and MKE stipulates 2019 production and delivery of models Z-3 and Z-33, in addition to third- and fourth-quarter deliveries of model Z-5P in quantities that exceed Zenith’s backlog. We appreciate MKE’s diligence, despite a difficult last year in Turkey, to reestablish production for the U.S. market as a top priority, and to secure our ability to reliably and consistently respond to the demands of our customers going forward. For industry/media inquiries, please contact Andy Eckert, 434-238-2550, andy@zenithfirearms.com. For sales inquiries, please contact Ben Bergamini, 919-368-3940, ben@zenithfirearms.com. Visit Zenith at the SHOT Show! We’re glad 2018 is behind us. As our customers and fans know too well, our lack of products made it a very frustrating year; we’ve appreciated your patience, support, and encouragement. With an MKE-certified delivery schedule now in hand, we’re looking forward to a very different 2019. Zenith is in Las Vegas this week for the SHOT Show. If you’re there, please come see us. We’re at the range today, and tomorrow through Friday we’ll be in booth 10336 at the Sands Expo. We look forward to talking with you about our upcoming shipments and our latest product and service offerings. That did not surprise us. We knew going into the competition that our Turkish-made variant of a submachine gun that’s been trusted for 50 years by the special operations and security personnel of more than 75 countries was unlikely to prevail on price in a field saturated with newer, possibly up-and-coming alternatives. Nevertheless, we are proud to have been a part of the selection process, and we have informed the U.S. Army Contracting Command that Zenith will be ready to step forward in the event that an existing awardee proves unable to deliver the expected performance. The Zenith team will be at the Ninth Annual Michigan State Subgun Competition in Mt. Pleasant, Michigan on August 11. The event takes place at the Black Creek Conservation Club. Make plans now to stop by our booth. We’d love to introduce you to our products. Zenith is excited to attend the Georgia Sherriffs’ Association Summer Conference alongside Ed’s Public Safety. The event takes place July 30 to August 1 in Jekyll Island, Georgia. If you plan to be on Jekyll Island for this year’s conference, stop by to see us at our booth. We’d love to introduce you to our products. The U.S. Army Contracting Command has notified Zenith Firearms that the U.S. Government contemplates issuing a Firm-Fixed Price Purchase Order for Z-5RS and Z-5P submachine guns, in support of testing and evaluation leading to procurement of a new U.S. Army Sub Compact Weapon. The notification followed Zenith’s response to the Army’s May 2 Request for Information regarding Sub Compact Weapons, in which the Army specified its interest in “a full/semi-automatic selectable variant that has a MIL-STD 1913 rail (Picatinny Rail),” is chambered in 9x19mm, and will be offered with magazine(s), a cleaning kit, a suppressor, specialized tools (if required), spare parts, a sling, a carrying case, and a user manual. Zenith anticipates receiving the contemplated Purchase Order on or around June 29, 2018, when the Army will likely issue orders to 13 manufacturers, in total, which are expected to compete for final selection. In addition to Zenith Firearms, the Army has expressed interest in products from Angstadt Arms, Beretta, CMMG, Colt, CZ, Heckler & Koch, Lewis Machine & Tool Company, Noveske, PTR Industries, Quarter Circle 10, SIG SAUER, and Trident Rifles. Zenith Firearms welcomes this formidable competition, and looks forward to seeing the reliability and performance of its Z-5RS and Z-5P submachine guns evaluated alongside the best the industry has to offer. Zenith Firearms would like to invite you to demo their products. Frontline Defense Firearms Training Center and Range in Warrenton, North Carolina will host the event on July 1, 2018 from 12 pm to 2 pm. To see a video about the event, click here. Zenith Firearms will exhibit at the 2018 Ohio Tactical Officer’s Association Annual Training Conference in Sandusky, Ohio from June 4-8. This year’s OTOA conference will be held at Kalahari Resorts, where attendees will have access to more than 200 vendors and 140 classes. Zenith sees the conference as an opportunity to introduce agency personnel to its submachine gun offerings, as well as to its restoration and support services geared toward existing MP5 assets. Zenith Firearms is headed to the “Big D,” and yes, we mean Dallas! Make plans now to see us in booth #11146 at the NRA Annual Meetings & Exhibits. Our team is eager to meet you and discuss our products and the solutions they provide. As a way to introduce our Custom Shop and the services it offers, Zenith is giving away a Dallas-themed AOW to one lucky attendee. Contest details can be found here. The event runs May 4-6 at the Kay Bailey Hutchison Convention Center in Dallas, Texas, and is FREE to all NRA members and their families (spouse and children under 18 years old). Zenith is exhibiting at the Big Rock West Fishing & Shooting Dealer Show in Las Vegas. If you are a dealer who would like to learn more about our firearms, stop by to see Paul at booth #1008. The show runs from January 3-5. Afton, VA: Zenith Firearms has eliminated three product lines to make way for a heightened and exclusive focus on its signature roller-delayed blowback firearms. This move is the logical result of Zenith’s recent decision to change its business model from one in which it distributes a wide variety of firearm products, to one in which it intensively researches, develops, manufactures, and distributes only those firearms that comprise its signature line. Zenith sold all remaining inventory of its eliminated product lines, which include Tisas, Girsan, and Tedna, to Texas-based firearms wholesale liquidator CDNN Sports. 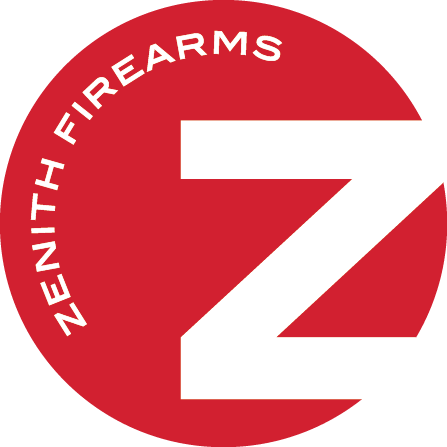 About Zenith Firearms: Zenith Firearms, Inc. is an Afton, VA-based, American family-owned company that works closely with MKE (Mechanical and Chemical Industry Corporation) of Turkey to bring the legendary reliability and design of roller-delayed blowback firearms to the U.S. market. Zenith is a BATFE-licensed manufacturer and importer of destructive devices (FFLs 10 and 11), and a DDTC-licensed exporter and broker of defense articles. Zenith & Shot Spot have jointly developed the Zenith Hero Program in order to provide military personnel, law enforcement officers, corrections officers, firefighters, and EMS providers cost effective access to Zenith Firearms’ products. Afton, VA: Zenith Quest Corporation, through its subsidiary Zenith Firearms, working in partnership with Shot Spot, LLC of Carrolton, GA, has just announced the release of the nationwide Zenith Hero Program. This program enables military, law enforcement, corrections, firefighting, and EMS professionals to make non-departmental purchases of Zenith Firearm products at substantial discounts. Shot Spot manages this program, offering Zenith’s products through their nationwide affiliates. “We are very pleased to have Shot Spot join the Zenith family, and we appreciate that they have years of experience running and managing like programs,” says Hanri Kaya, CEO of Zenith. Shot Spot recognizes the quality and diversity of the Zenith product line and believes this is an excellent addition to its growing business model. “We are appreciative of all the ‘heroes’ that impact our daily lives and we want to show them our gratitude; this program is a way of doing just that,” says John Paulk, CEO of Shot Spot, LLC. Zenith Firearms, a privately owned company located in Afton, VA, imports a wide variety of firearms including pistols and shotguns, and is the sole importer of the MKE-produced roller delayed blowback firearms, true to the original design. Zenith offers quality products and ammunition at affordable prices. Shot Spot of Carrolton, GA operates a highly successful business that caters to firearm and sporting enthusiasts. It operates state of the art indoor ranges, and offers a full selection of firearms, ammunition, apparel, and services. Shot Spot is also an experienced distributor of law enforcement specific products via its dealer network. Shot Spot: The Zenith Hero Program is available now by calling 678-664-0610 or visiting www.shotspotllc.com for a list of dealers in your area. To become a Zenith Hero Program affiliated dealer please contact Chase Chambers at 404-909-5252 or chase@shotspotllc.com. Zenith Firearms: Contact Don Leckrone at 434-202-7790 x113 or don@zenithquestcorporation.com. Zenith Firearms will be exhibiting in both of Big Rock’s January shows. Representatives will be on hand at the Big Rock East Show, January 6-8 in Raleigh, NC and the Big Rock West Show, January 10-12 in Las Vegas, NV. Zenith Firearms will be exhibiting in the Bill Hicks & Co. 21st Annual Dealer Show. The show will take place January 7-9 in Minneapolis, Minnesota. We look forward to networking and hope to see you there! Zenith Firearms will be exhibiting at the 2017 SHOT Show in Las Vegas, January 17-20. Please stop by and see us at Booth #2625 and Booth #10342. Zenith Firearms will be attending Big 3 East. The event will take place March 30-April 1 at the Big 3 Training Center in DeLand, Florida. To learn more about Big 3 East, click here. In the words of Outdoorhub.com’s Matt Korovesis, “shooting the Z-43 was one of my highlights from Industry Day.” Read all about it, here. Great news here at Zenith! Our first shipment of Z5K, Z5P and Z5RS firearms has arrived and many have already been shipped to dealers, distributors and customers! The rifles are at the ATF for review and Girsan is readying pistols for delivery! Zenith’s crew is wishing you and yours a fantastic Memorial Day weekend. We hope you take the opportunity of this three day break to celebrate those who gave their lives in service to our great nation. Thank you to everyone who attended our April 25th ground breaking ceremony. We are excited about the construction of our new 80,000 square foot warehouse in Nelson County and the employment opportunities it will bring to the area. Sefe from the Newsplex was there to cover our event, click here to view the news story. We highly respect The Truth About Guns folks and are flattered they chose to mention us online. To read their review click here. Zenith Firearms and MKE will be exhibiting at the 12th International Defense Industry Fair. This year’s Fair will take place May 5-8 at the Tuyap Fair Convention and Congress Center in Istanbul, Turkey. If you plan to attend, be sure to stop by Hall 8, Stand 805 to learn more about our products. Zenith Firearms and ZQI Ammunition will be in Nashville, TN next week for the NRA Annual Meeting. If you’re in the area, please stop by Booth 2811 and say hello. We’ll have at least two of our fine roller-locks on display, as well as information on our future plans! We want to thank everyone who visited us at our booth this year. We appreciate the tremendous support shown for both ZQI Ammunition and Zenith Firearms. Please have a look at the videos below if you’d like to learn more about Zenith Firearms’ forthcoming products. Zenith Firearms will be exhibiting at the 2015 SHOT Show in Las Vegas, January 20-23. Please stop by and see us at Booth 620. More information can be found here. November 20, 2014 – A ten acre plot of land, just down the road from Blue Mountain Brewery and a Martha Jefferson outpatient clinic, will soon be transformed into an 80,000-square-foot warehouse for Zenith Quest, an international importing and exporting business specializing in ammunition and firearms. October 15, 2014 – A warehouse facility that will be used for storing products including ammunition and firearms is in the works to be built in Afton. October 15, 2014 – A new warehouse facility that will be used for storing products including ammunition and firearms is in the works to be built in Afton.